Save! Radio does not work! SUPER SHARP!! SUPER CLEAN!! 2011 Infiniti G37 Hard Top Convertible. This G37 Has Leather Seats, Power Seats, Heated Seats, Memory Seats, Power Windows, Power Locks, & Power Mirrors. It Is Equipped With A AM/FM/CD Player, Satellite Radio, Aug Audio Jack, Hands Free Wireless, Bluetooth, Navigation, Steering Wheel Mounted Controls, & Back Up Sonar. INFINITI DEPENDABILITY!! 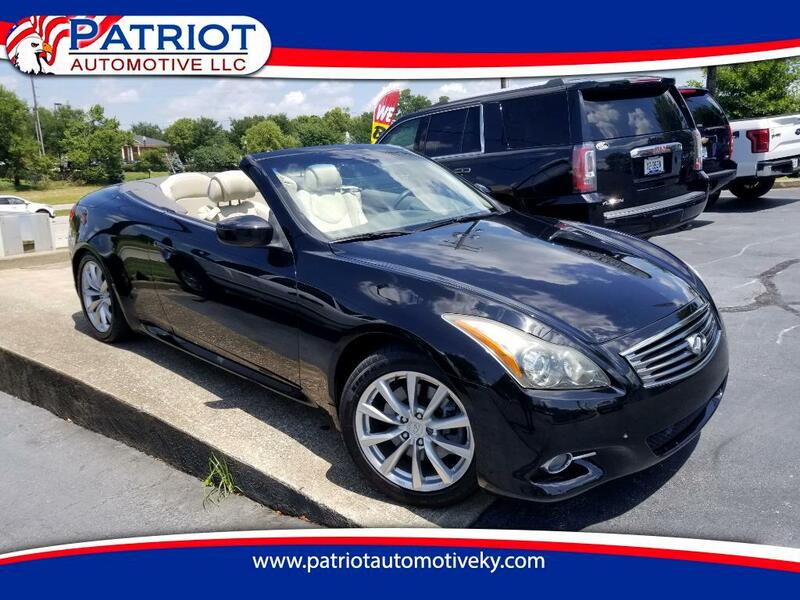 THIS BEAUTIFUL HARD TOP CONVERTIBLE G37 DRIVES, RIDES, & RUNS GREAT!! PRICED AT ONLY $13976!!! Radio does not work! Message: Thought you might be interested in this 2011 Infiniti G37 Convertible.